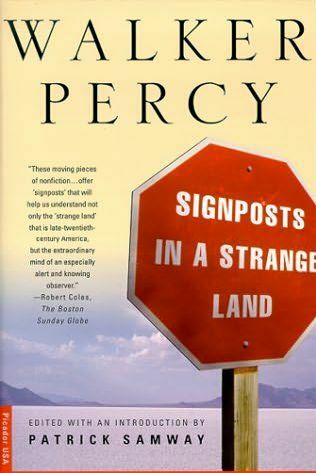 In his essay "Notes for a Novel About the End of the World," collected in "The Message in the Bottle," Percy has another metaphor for the novelist. He writes that ""The novelist writes about the coming end in order to warn about present ills and so avert the end . . . The novelist is less like a prophet than he is like the canary that coal miners used to take down into the shaft to test the air. When the canary gets unhappy, utters plaintive cries, and collapses, it may be time for the miners to surface and think things over." To answer his question, "…what it is like to be an individual living in the United States in the twentieth century," how about in the secular world being a meaningless statistic in yet another dehumanizing, reductionist poll.